Our client is one of the biggest brands in jewellery, with a national network of stores and the best services in their field. 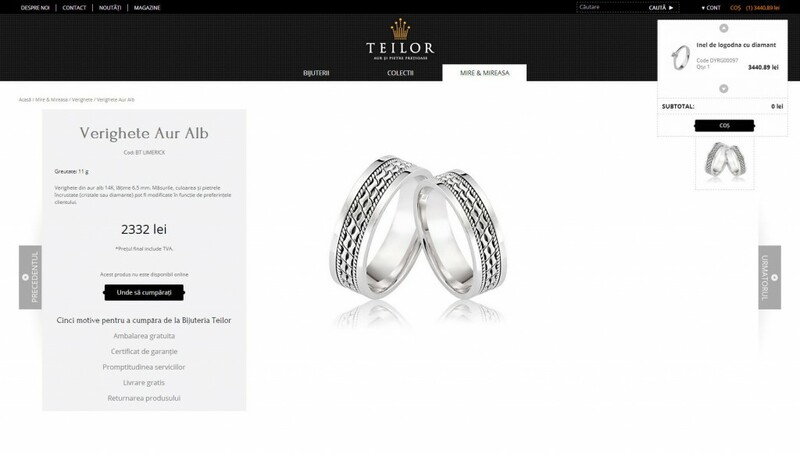 Teilor Fine Jewellery was launched in 1999 with the commitment to combine exceptional design with the most precious materials. They’re a Romanian-owned brand that started out in Pitesti and grew into a chain of nine stylish stores in 6 Romanian cities, while also catering to the needs of international customers through their online store. 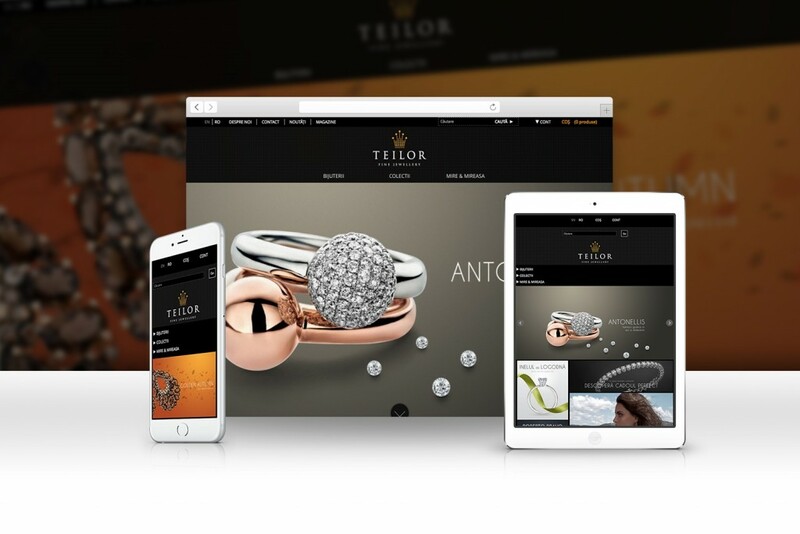 Each Teilor jewel is carefully crafted, so that it suits their customers’ preferences and personality down to the minutest details. They’re well-known for their special collections of diamond and precious stone jewellery, engagement rings and wedding bands, delivered with the best possible service. 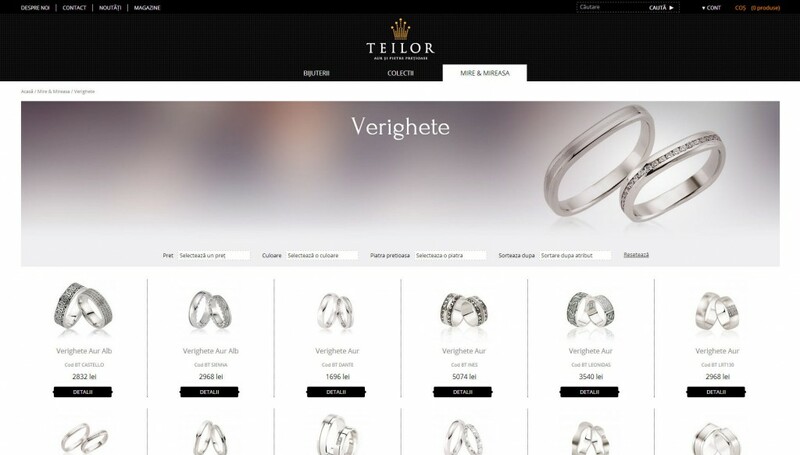 The client needed to re-design their website so that it would offer their customers the same high-class shopping experience as they would receive in-store. 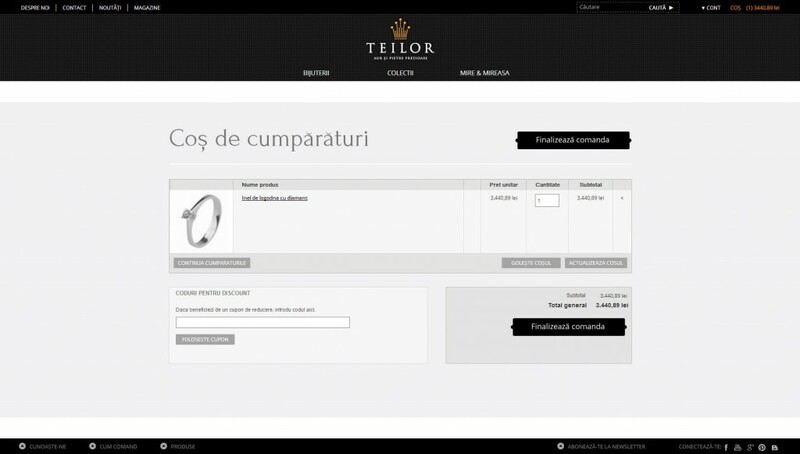 They also needed a reliable and scalable e-commerce solution with complex functionalities that would allow them to easily adapt to their growing business requirements, to migrate from the old website without any negative impact in terms of SEO and that would enable automation of processes and integration with their ERP. We were recommended by one of their business partners. After exploring their needs, we recommended Magento as the most suitable platform for their requirements, for its stability, extensibility and great out-of-the-box functionality. We provided them consultancy in choosing the technical solutions to be used and in determining their infrastructure and performance optimization needs, while accommodating particular requests from their part, such as incorporating their own graphic design. Our flexibility, technological capabilities and reputation determined the client’s decision to collaborate with us. This is still an open, on-going collaboration based on the same working model: as their business evolves, so do their technical requirements, for which we propose and implement the most efficient solutions. We went the extra mile to migrate their product catalogue while still retaining their Google authority, by indexing thousands of links – some of them manually. The client has permanent access to an expert team that quickly finds and implements the best solution to any issue that might arise. Their online store was built using the most advanced technology on the market, at the best value for their budget.